Possibly the biggest news of the year broke last week with the historic ruling by the Supreme Court to legalize gay marriage in all 50 states. This has been a very polarizing debate in the U.S. for years, and the decision is certainly not an ending point to the discussion. Rather, we are now shifting focus to matters concerning its implications, such as healthcare rights for partners of employees and intolerance in the workplace. Much of my research examines discrimination and adverse impact in the hiring process, so I am quite interested to see what new laws are enacted and how organizational cultures adjust in the coming years. Regardless of your personal beliefs, I hope we can all agree that all capable and competent individuals should be afforded equal opportunities to land a job and feel safe in their places of work. What does this have to do with workplace safety? Right now you might be thinking ‘What does the gay marriage ruling have to do with workplace safety?’ I bring it up to highlight that LGBT issues are present in a wide range of topics, one of which being the workplace, and organizations must be sensitive to the needs of all their employees. This is not to say that LGBT employees require any special treatment or provisions to safely perform their jobs. All employees follow the same safety policies and practices, and demographics are meaningless when we talk about reducing accident and injury rates. However, as the number of transgender individuals in the workforce continues to rise, a workplace health and safety concern for this group not directly related to their job duties is worth noting. 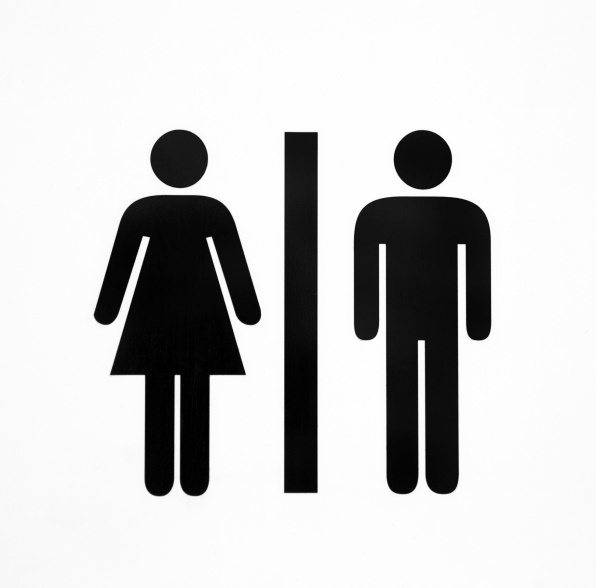 Most of us take the comfort of having access to restrooms at work for granted, but as stated by the Human Rights Campaign, “transgender people often face the burden of being confronted or questioned about which gender’s restroom they should use.” If an organization restricts an individual to using a restroom that is inconsistent with his or her gender identity, that employee may begin to avoid using the restroom at work altogether, which can lead to serious physical problems and illnesses like urinary tract infections, bowel and bladder control issues, and dehydration. In fact, a study conducted by the UCLA School of Law in 2013 found that 54% of transgender individuals surveyed reported that they have experienced physical problems due to avoiding public bathrooms. Some of you might get a little resistance about these updates from certain employees, and I recognize that this issue can make some people uncomfortable. However, as managers and safety leaders it is our job to embrace change and help others understand why we must foster work environments in which all employees can feel safe and have all of their basic needs met.